Zagg Network, a privacy-preserving protocol based blockchain and Imaginea Technologies Inc., a Silicon Valley-based software engineering and professional services provider, today have announced a partnership to develop next-generation blockchain/DLT based solutions for the retail and insurance markets. The partnership will allow for the development of full end-to-end blockchain-based solutions for retail and insurance segments, and take them to their global Fortune 500 customers. F500 need privacy and transaction confidentiality to adopt and scale blockchain solutions and this partnership is addressing those key techno-business challenges. Zagg Network is developing Zagg Protocol, a privacy-preserving blockchain solution that enables enterprises to adopt blockchain technology for some of their pressing business collaboration needs. Today, retailers and brands are looking for innovative solutions to engage and nurture their customers in the hyper-competitive world. One of the tools they have been traditionally using is Loyalty and Gift Card (enterprise currencies) programs. However, the current systems provide a fragmented and isolated customer experience from issuance and redemption side, as they run on centralized servers. This results in the programs having low engagement and NPS scores. Enterprises are keen to explore how blockchain can make their customer engagement programs more live and work for the customers. There are several successful models of Customer engagement tools like Loyalty and Miles programs moving from cost centers to revenue centers for organizations by transforming these liabilities into enterprise currencies. These enterprise currencies have become more valuable for the consumers thereby making these more valuable and utilitarian. 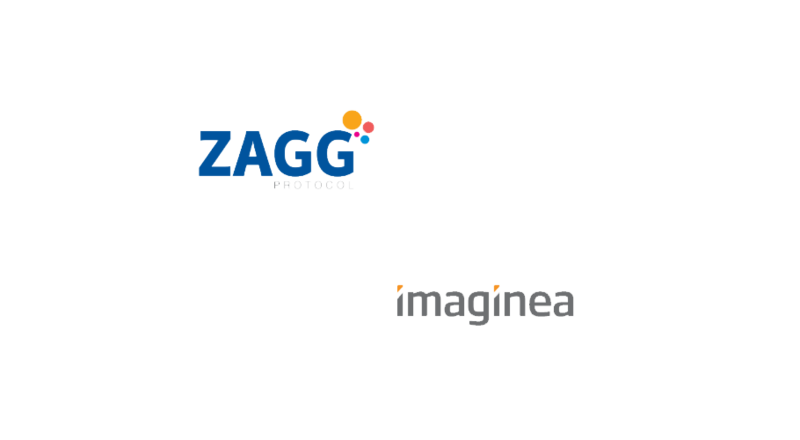 Imaginea and Zagg are building solutions to solve this problem for the brands, retailers, and companies that offer direct services to customers like in insurance.